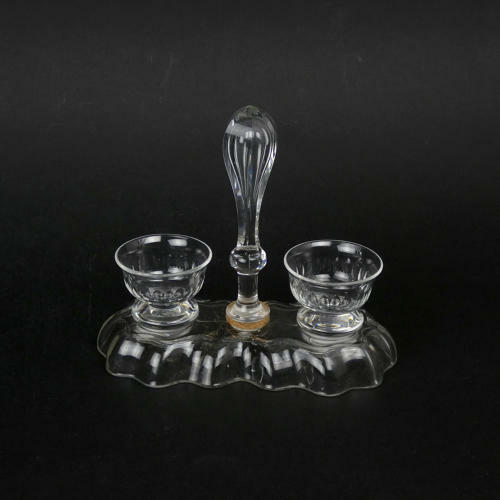 An unusual, French crystal glass salt stand. This would have been used for serving salt at the table. The two small bowls are removable from the stand and the piece is easily handed around due to the long, central handle. The base to the piece is moulded and the two salt bowls and the handle all have a cut design. This dates from c.1880 and it is in excellent condition. The handle was quite loose so a washer has been cut, from cork, to make it more solid.